Megan Reed, Rainbow Slice, 2016. Join Tiny Bubbles artist Megan Reed for a hands-on workshop exploring the tradition of bricolage--the practice of taking the everyday as both inspiration and material. Using discarded materials, this workshop reimagines how we use or dispose of the objects around us and reframes the clutter in our world. Through the use of found cardboard, paper, color, along with glue, staples, and tape, participants will craft sculptural, painted, and collaged interpretations of the architecture and objects that surround us. We'll find beauty in the discarded by way of new formations. We might even tap into our own utopian impulses to reexamine the way we think about and let "stuff" define us, both in our own communities and as a larger society. Materials provided. All ages are welcome! Megan Reed is an artist in Oakland, California. She has an MFA in Painting from California College of the Arts in San Francisco, CA, where she was the recipient of the Graduate Painting Teaching Fellowship and the Rex Ray Material Support Award. She also holds an MA from Southern Illinois University and a BFA from New York University. She has taught at California College of the Arts, Diablo Valley College and Southern Illinois University. Her work has appeared twice in New American Paintings, in the San Francisco Chronicle, in solo shows at Unit 24 Gallery in London, UK, Zughaus Gallery in Berkeley, CA and more recently at Land and Sea and Quality galleries in Oakland. 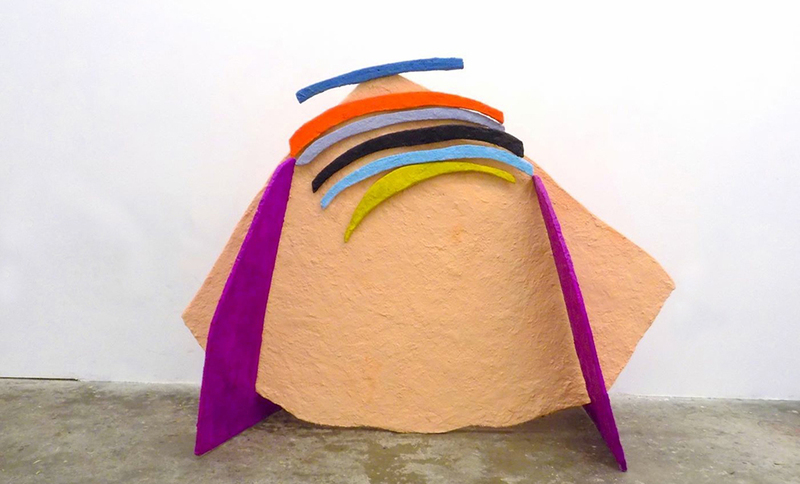 In addition to Tiny Bubbles, her work is currently on view in Rabble-Rousers, a two-person show with Jennie Ottinger at Johansson Projects in Oakland. She is a founding member of CTRL+SHFT Collective in West Oakland.